Bootlegging, piracy, whatever you want to call it is inevitable in this day and age, more so than in the past, with technology getting better and better. But while piracy tech is thriving, it appears that bootleg DVD Photoshop skills have yet to catch up with the tech of the day. We've all seen them, they're in any major city, usually sold on a blanket next to bootleg t-shirts of recently deceased celebrities and incense. Or we all have that uncle that takes business trips to China and comes home with a bag full of bootleg DVDs. Though not as popular as they were, say 15 years ago, bootleg DVDs are still a pretty decent cash flow for pirates. I imagine the only real trouble is finding someone with a DVD player or disc drive to play the hot movies. One of the best features of any bootleg DVD is the artwork. And today we might be looking at one that belongs in the Mt. Rushmore of bootleg DVDs. Twitter is supplying us with a beautiful bootleg cover of The Fate of the Furious. And while words cannot begin to describe the glory of this piece of art, I will attempt and more than likely fail, so you can check out the cover after I talk some more. Usually poor translation skills are what bring the humor to the bootleg DVDs, but the Fate of the Furious is a special kind of Photoshop fun that drags Meryl Streep into mix. 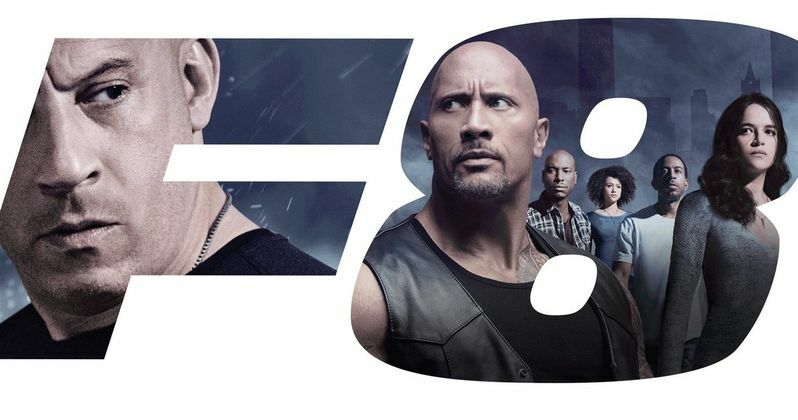 We get a stencil of the letter F with Vin Diesel looking menacing as ever glancing towards the stencil of the number 8, where Dwayne "the Rock" Johnson is giving more of a confused look back at Diesel. The number 8 on the cover also prominently features Meryl Streep looking on at Diesel in awe, which is strange because I don't remember Streep having a role in The Fate of the Furious, but then again I only saw Jason Statham fight with a baby in his hands and the Rock redirect a torpedo to make things go boom. Ok, so Meryl Streep wasn't really in the movie, but why didn't the cover "artist" just Google the poster for The Fate of the Furious and use that instead? The image that the artist Photoshopped in for the cover is actually a picture from the 2017 Academy Awards where the star studded crowd is reacting to the La La Land/Moonlight mix-up that shocked everybody watching. Even The Rock and Meryl Streep were shocked and somehow that seemed like a suitable image for the bootleg DVD. There are lists all over the interweb that collect the best bootleg DVD cover art and worst translations, but they might have to update those lists now because there's a new contender in town. The Fate of the Furious bootleg DVD art definitely belongs in the pantheon of great DVD art blunders. Check out the wonderful Photoshop skills below.